Essentially, the role of Government Chief Scientific Adviser (GCSA) is to ensure that the Prime Minister and the government have advice based on world-leading science, and that policies and decisions are informed by scientific evidence and strategic long-term thinking. I started as GCSA on 4 April 2018. This is my third – or maybe fourth – career. I trained as a doctor specialising in cardiovascular diseases, and – enamoured with research – became an academic, eventually leading the department of Medicine at University College London. Subsequently I moved into the private sector as head of drug discovery and, later, head of research and development for a global pharmaceutical company, and now this. 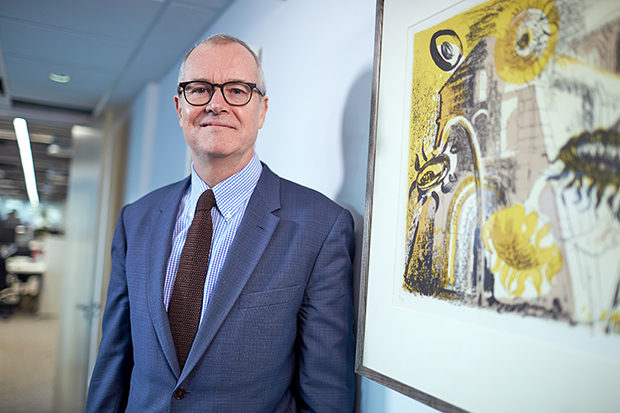 Like my move from a life in the NHS and university sector to become part of a multinational company in the private sector discovering new medicines, the transition from GSK to government took me out of my comfort zone and into a new world. What did I find? Well, for sure, the Civil Service is full of clever people who want to do the right thing. But it’s clear that science is not embedded in the system. We are relatively short of people trained in science, and the reflex to call for science to help solve problems or give new insights is not well developed. There are pockets of real excellence, and some great examples where science is both called upon and used. Probably the most striking example in my time so far has been the central role that science advice played during the novichok poisonings in Salisbury. But there are many other examples, where departments from DEFRA and DfT, to DHSC and MOD, draw on science and understand how it can and should be used. 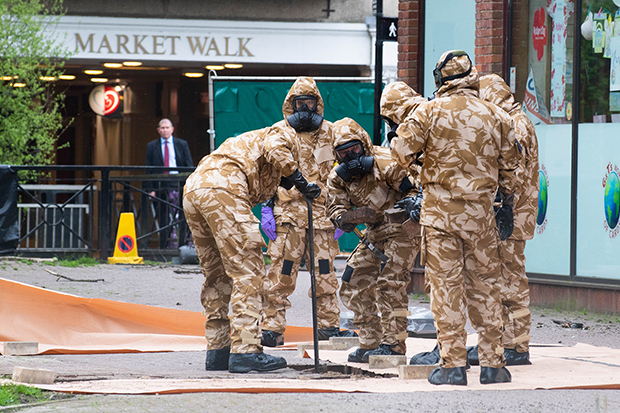 Military personnel worked with DEFRA and the civil authorities in the aftermath of the nerve agent attack in March 2018. However, I think the question ‘How can science help?’ is still too rarely asked across Whitehall. It should be asked more often, as there is virtually no issue that government faces that science cannot help with or inform. Science is often thought of as a big body of knowledge, but in reality that knowledge has emerged because of science. Science is a rigorous method, an approach, for framing and answering questions to increase understanding and help solve problems, and one that can be supported by specialist technical know-how. During my various introductory meetings across government I met leaders who said (rightly) that their departments were not science-based. It’s not about whether you need laboratories – it’s about what problems you have and how the method of science and the thinking of a scientist or engineer can help provide some answers, or some different approaches. This is a form of diversity: as Desmond Tutu has said, “differences are not meant to alienate or separate, we are different precisely in order to recognise our need of one another”. At its best, science has played a big part in developing cross-government policy. Take for example the way in which our report Tackling Obesities: Future Choices led to the very first obesity strategy in England: Healthy Weight, Healthy Lives and its 2011 successor Healthy People, Healthy Lives. Similarly, our 2017 report on the Future of the Sea directly influenced a wide range of government activity – most notably the announcement of a UK strategy to protect the world’s oceans. The science of climate change led directly to the 2008 Climate Change Act, making the UK the first country to introduce legally binding long-term carbon reduction targets. On a more technical level, our report on distributed ledgers outlined their potential to transform the private sector, policy-making and public service delivery. If we are to strive for a better and fairer society, then science has its part to play. Science needs to be seen broadly, encompassing all its aspects, from the physical sciences to the social sciences and humanities. Many of the most useful insights come when these different disciplines come together. Positioning scientific evidence at the centre of government thinking can’t be the job of a small group. It means harnessing the power of the network of over 10,000 government scientists and engineers who work in a range of specialist, deep specialist, policy, analytical and operational roles across the whole of the UK. I want to see more scientists in all Civil Service development programmes, including apprenticeships, the Fast Stream and senior development initiatives – because we need more scientific thinking embedded in everything we do. The Government Office for Science, which I head, holds a unique position in the Civil Service, with the ability to work on issues that cut across departmental boundaries, gathering evidence from all sides of a debate. Part of our role is to be proactive, anticipating and understanding topical science and technology issues. We are also often asked directly by No.10, ministers and permanent secretaries to gather scientific evidence on their behalf to inform their policy making. Here are just a few examples of where this has happened in my first few months, demonstrating the importance of science to government. Science is at the heart of the government’s Industrial Strategy. With the rapid advances in knowledge and the translation of that into innovative products, it is essential that the UK gets this right. We are at the very forefront of knowledge generation and have some of the very best universities and scientists in the world. We are good, but not quite as good, at turning knowledge and technological advances into business advances, job creation and societal benefit. recommendations on how to increase the UK’s attractiveness to science investment and stimulate more growth from our universities, in support of our commitment to research and development investment of 2.4% of GDP by 2027. I also provide leadership and expertise on new and existing Industrial Strategy priorities, using our scientific and horizon-scanning capability within the Government Office for Science to recommend areas of focus for additional grand challenges and missions. The departmental Chief Scientific Advisers (CSAs) and I meet weekly to share intelligence and discuss challenges. We pool our expertise to reach a shared view on a range of topics, from air pollution to modern slavery to Brexit, and provide coherent action plans for departments. Modern slavery is another example of where science can make a difference in people’s lives. It has helped detect patterns of buildings that signal inappropriate activities, has been used to track movements of people, and has enabled an understanding of the effects of slavery in childhood on brain development. I also chair the Scientific Advisory Group for Emergencies (SAGE). In an emergency, we bring together leading experts in relevant fields to provide science advice for COBR. Almost on my first day, SAGE was convened to advise on the acute and long-term health risks of the nerve agent poisoning in Salisbury, and on the risk to public health during the incident response and recovery. As well as experts in their fields, I had the opportunity to work with other CSAs from the Home Office, Defra and DHSC. The advice helped answer operational uncertainties and to foster collaboration across the CSA network, which covers all departments. More recently the government announced that additional environmental checks are to be carried out in and around the Grenfell Tower site. This is to reassure the bereaved, survivors and wider community that any environmental risks to public health will be fully assessed and appropriate action taken. I have been asked by the Secretary of State at the Ministry of Housing, Communities & Local Government to provide independent scientific assurance of the process. This will be done through a science advisory group who will quality check the scientific methodology, testing process and analysis of results at each stage. Government’s response to international emergencies also needs our support. 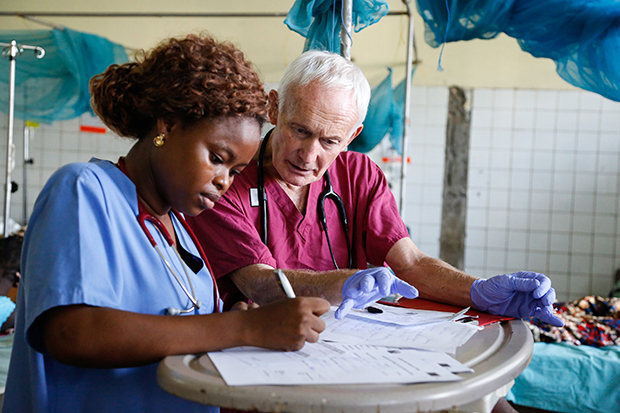 During the Ebola outbreaks in West Africa in 2014 and 2018, SAGE called on historians, anthropologists, behavioural scientists, engineers, mathematical modellers and infectious-disease experts from around the world. In the Ebola outbreak, it was the interplay between anthropologists, infectious diseases specialists and epidemiologists that helped identify the crucial importance of burial traditions in the spread of disease from funerals. commercialisation of fusion technologies. A package of support on quantum technologies includes the establishment of a National Quantum Computing Centre that will lay the groundwork necessary to try to create the world’s first scaled universal quantum computer in the UK. I was also pleased to see the Budget’s creation of a £50-million-per-year science fund to address the most pressing challenges in government. Government is getting better at understanding where science can help. Each department has now produced a statement of Areas of Research Interest, listing those places where science can help with the most important issues. Hopefully it is clear why, if science doesn’t feature in your policy development process, then it should. Each department has a chief scientific adviser. Like me, they are scientists or engineers, but our job is not science for science’s sake, it is to assist policy. It’s worth underlining – science is a method of solving problems, so bring scientists into your teams. Take advantage of their training to bring some diverse, innovative thinking to your work. Speak to them about how science and evidence can help inform your policy and assess the impact of the policies you have introduced. Proud to be one of the CS scientists, APHA-Weybridge.